Isabella Thoburn College Lucknow welcomes young women to the college who unconditionally wills to take part in carrying on the prestigious traditions of the College. Alternatively, students will find help in the development of the body, mind, and spirit. Here high scholastic achievement is desired and usually secured by the students. Furthermore, the beginning of the college reassures every weak and struggling young woman that opportunity stands and knocks at her door. But, it is for her to reach out and change her world. The purpose of Isabella Thoburn College Lucknow is to provide higher education, primarily to Christian women. Speaking about education, the college promotes learning and skill development through effective professional studies. Also, the college prepares students for their career quest. Moreover, the college also collaborates with different educational institutions and industries worldwide for mutual benefits. Importantly, it provides value-based education which results in social accountability and also ethical decision making in today’s complex situations. Selection of the candidate is through the UPSEE Counselling by AKTU & also the College Management Quota. If the candidate makes through the process than the college contacts via email/ phone/ mobile. The ideal candidate is the one with Bachelor’s Degree or its equivalent in any discipline. However, the candidate must have at least 50% aggregate marks for General. But for SC/ST candidates 45% or equivalent CGPA. Firstly, admission to PGDHHM shall be made only from the candidates qualified in these exams ie; CAT, CMAT, XAT, ATMA, GMAT, MAT. Secondly, the candidate must have a Bachelor’s Degree or its equivalent in any discipline. But the aggregate must be at least 50% marks or equivalent CGPA. Above all, the selection is strictly on the basis of the following merits ie; score in the Common Admission test-35 to 60%. And also, score for academic performance in X, XII, UG/PG-5 to 25%. Also, the student should score 20 to 40% in Group discussion/Interview. Apart from that, weight for participation in sports and extra-curricular must be 5 to 20%. The college has an electronic library. It is a type of information retrieval system which has a focused collection of digital objects. Actually, it includes text, visual material, audio material, video material, stored as electronic media or other media. The arrangement of computers in the labs are typically in rows. Because of this arrangement, every workstation has a similar view of one end of the room for help facilitate lectures or presentations. Importantly High-speed internet is available for 24 Hours. It is one of the major assets of an institution. Here, the seminar hall has the capacity of more than 200. Additionally, it is equipped with LCD Projector and Audio System. Furthermore, seminars and few lectures are organized in this seminar hall. Above all, the LCD projectors help the students to understand the lectures clearly. This is a unique solution for transferring knowledge/ information to the students. Importantly, this helps the students in capturing the information which provides complete teaching and learning solution. Hamstech Institute of Fashion & Interior Design is a leading design college in Hyderabad. It started as a pioneering design college for Fashion and Interior Design training in 1992. Since then, it has been offering exemplary creative education. The vision of Hamstech Hyderabad is to nurture creative youngsters who join its courses. It eventually added the disciplines of photography, jewelry, and accessory designing to its academic verticals. Today, it has 7 centers across Hyderabad, with state-of-the-art infrastructure. The college has associations and affiliations with national and international universities. Most important, the college has professional and expert faculty. This college is excellent because, on one hand, the advisory board includes eminent personalities from the industry and on another hand, placements, and an internship are offered with top brands and designers like Tommy Hilfiger, Van Heusen, United Colors of Design, etc. Even more, regular seminars and workshops are conducted by top professionals from the industry. Different from other design colleges, it provides a unique platform to launch your own label on thehlabel.com. Hamstech Hyderabad Admissions procedure varies according to the course type a candidate wants to pursue in the field of fashion and design. This diploma will help you master fashion design. It develops the student’s originality, creativity, and design application in the apparel and textile industries. However, it is a two-year course. At least, 10 + 2 Higher Secondary education is a must to get eligible for this course. Textile design is the core of the whole fashion business. Presently, the export and domestic sectors of the Indian fashion industry is rapidly expanding that the demand for this course is increasing. However, the curriculum of this course includes both textile and fashion design. The duration for this course 2 years. Unlike other courses, the eligibility for this course is 10th pass. Like the other courses, this is a 2 years course. This course helps impart basic skills and awareness in both the general and professional aspects of interior design. Also, students will fine-tune their designing skills through computer-aided design. Importantly, this diploma teaches principles of working with interiors. Also, it educates students with home and commercial space designing, their architectural aspects and conceptual development of ideas. Above all, the eligibility for this course is 10+2 pass. This course gives students an opportunity to develop your photography skills and knowledge in a short time. Importantly, you can learn to capture those images you have always dreamt of within 1 Year. Unlike diploma courses, this is a 1-year course. Lastly, the eligibility is 10th pass. Jewelry design is an intricate field of study at an introductory level. Firstly, students are taught about the different processes. It starts with a creative inspiration and finally a beautiful piece of art is created. It is a 1-year program that offers the students an understanding of all the processes involved in designing jewelry. Even for this course eligibility is 10th pass. Chandigarh University Mohali got the inspiration for its name from the beautiful city of Chandigarh. The University offers its students a unique and inspirational model. This model helps to match international standards. Also, many programs are paired with flexibility, experiential learning, and interdisciplinary orientation. Moreover, this university is involved in world-class research. As a result, it is outstanding in the latest research excellence framework. It has the conducive student-faculty ratio of 19:1, offering 85% student satisfaction. The University provides a global perspective to the students resulting in more opportunities for them. Also, it has a partnership with 150 plus universities around the globe. It has 61% of students coming from all over India and from 30 other Nations. In other words, there is a cosmopolitan, friendly, and inclusive atmosphere on campus. 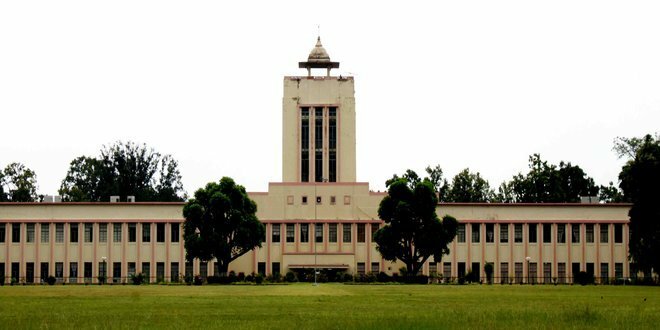 This university is India’s leading university which offers its students a unique combination of academic and professional excellence. It’s ranking top among many top Asian universities. Further, it is a student-centric institute. In other words, the students achieve success through optimal learning experiences and services. It develops a sense of responsibility to their students for their academic work, career development, and social life. Overall the university is a Centre of Excellence. Also, it is globally recognized for Research, Entrepreneurship, Innovation, etc. It has been spreading knowledge by providing inspirational learning. Hence, producing professional leaders for serving the society. Furthermore, it has world-class infrastructure and an ideal environment. It has been creating curriculum keeping in mind that it should match the international standards. Lastly, it assures all-around quality through professional management. The Chandigarh University Mohali Admissions criteria depend on the course type. Below are a few examples of the same. Bachelor’s Degree in the relevant field or its equivalent. Along with that the minimum 60% in 10, 12, and graduation level. For this course, it is required for the candidate to pass 12th. The candidate must have studied Physics and Mathematics as compulsory subjects. Along with one of the subjects Chemistry/ Biotechnology/ Computer Science/ Biology. Candidate must score at least 50% marks (45% in case of candidates belonging to SC/ST category) in the aggregate. The requirement for the candidate is to pass 10+2 with Physics and Mathematics as compulsory subjects. Also, the candidate should have had at least one of the following subjects: Chemistry/ Biotechnology/ Computer Science/ Biology with at least 50% marks. For SC/ST category candidates, 45% aggregate is enough. The University has separate hostels for boys and girls. It has all modern facilities and a mess. Importantly, the mess serves fresh food to the students. Another key point about the hostel is that it provides facilities like internet, music room, common room with TV and cable facility. Also, there is a room for indoor games and a reading room. It provides safe and comfortable transport facilities for their students and faculty. This service is applicable to students staying within the 100 km radius of the college. Doctors are always available to deal with any kind of medical emergencies. There is separate OPD room for girls and boys. Also, there are three ambulances inside the campus. RV College of Engineering Bangalore was established in the year 1963. At first, it had three engineering branches namely Civil, Electrical, and Mechanical. However, today it has numerous undergraduate programmes in engineering. Along with that it also offers 21 Masters and Doctoral Degrees. It is located on Mysore Road which is 13 km from the city of Bengaluru. The campus is spread over 52 acres. Moreover, it has a great ambiance to stimulate the teaching and learning process. Along with that, it also helps in bringing out skilled and disciplined engineers every year. Importantly, its rating is always among the top ten engineering institutions. Currently, it undertakes more than 1,200 students for both undergraduate and postgraduate programmes. Also, it has very highly qualified and dedicated faculty who are experts in their respective disciplines. Apparently, this college has achieved Leadership in Quality Technical Education, Interdisciplinary Research, and Innovation. Furthermore, the mission of this college is to deliver outcome-based quality education to its students. It also includes focusing on technologies which are sustainable and inclusive, which benefit all sections of the society. Students must report at the Admission Section at RV College of Engineering, Bangalore. Here, verification of original documents is done according to respective authorities. Also, challan for payment of fees is provided. However, fees must be paid at Kotak Mahindra Bank, RVCE Campus, Bangalore. After payment of fees, the student has to report to the computer lab on the 1st floor of the Civil Department. At the lab, the student has to fill an online application. After successful entry, the student must take a printout of the application and submit it along with necessary documents. Reflection on its academic excellence is seen in the exemplary record of placements of the students at RV College. Consistently, the college has maintained an excellent placement record. World’s leading companies recruit students from this college. Moreover, the placement department helps students to develop a balanced set of technical and interpersonal skills along with a positive attitude to life. The library has a vast collection of books, reference books, bound volumes, etc. It also includes e-books and e-journals. Moreover, the e-journals are from leading publishers. It provides value-added services to the readers. The resources can be accessed from anywhere within the campus over the Wi-Fi connection. This Department provides infrastructure for sports and games. It allows students to participate in the sports of their choice. It also spots and grooms the talent of any sports in students. Moreover, it helps improve discipline, leadership, and courage of students. Furthermore, it has also produced many State and National players. Without cultural activities, college life seems to be dull. It is an integral part of college life. Also, it helps in the development and personal growth of a student. Moreover, it allows students to meet new people and to pass on the cultural traditions. However, at RV College, these activities bring out the hidden talents of students. It also provides a platform for budding artists and musicians. For over five decades, Birla Institute of Technology, Ranchi BIT Mesra has been nurturing minds through a rich heritage of academic excellence. Its location is 16 km from Ranchi, Jharkhand, the state capital. Furthermore, it is a hub of bustling student activities. The beautiful campus has been a second home to thousands of students in their journey to challenge the times. In 1955, visionary-industrialist Mr. B.M. Birla established this institute. Importantly, today it is one of the most premier engineering institutions in India. The size of the main campus is 780 acres. BIT Mesra offers programmes like Undergraduate, Postgraduate, Doctorate Degrees, etc. To emphasize, the college has a strong vision and mission. Also, the Institution is globally recognized. Not to mention, it is striving continuously for excellence in education, research, and technical services to meet the National needs. Additionally, it provides excellent research and development facilities for Ph.D. programmes and research projects. Above all, it develops effective teaching learning skills and state of art research potential of the faculty. The Birla Institute of Technology, Ranchi BIT Mesra Admissions depend on the degree that a candidate wants to pursue. Below is a list of the admission procedures for various courses. For Indian students, the admission is based on AIR in JEE-Main through CSAB/ JoSAA. On the nother hand, for NRI/ PIO/ SFFS, it is based on marks obtained by the candidates in Class 12/ equivalent qualifying examination. Depends on marks/score obtained by the candidates in JEE-Main or NEET-UG. Whereas, preparation of merit list is on the basis of 60% weight to JEE (Main)/ NEET-UG Score and 40% weight to marks in Class 12/ equivalent qualifying examination. Depends on performance in Entrance Test & Interview. Depends on marks obtained by the candidates in Class 12. Depends on marks of the candidates in the Entrance test conducted by the Institute. Depending on CAT/ MAT/ XAT/ CMAT percentile/ Scores and GD & PI the candidate gets admission. Admission completely depends on the marks of the candidates in MCA online Entrance Test which the Institute conducts. The candidate must qualify GATE. However, academic record is also taken into consideration along with GATE score. Preparation of the merit list is on the basis of 80% weight to GATE Score and 20% weight to Class 10, 12, and graduation results. The central facility of the Institute is the CAD Lab. First of all, it allows all undergraduate, postgraduates, research scholars, and faculty members, to work with the sophisticated 2-D & 3-D design and analysis software. In addition to that, they can learn to use the latest software and carry out their research work. Altogether, it has 70 computers with the latest configurations connected with a high-end server through switched networking. In technical learning, The BIT Central Library serves as a model of an evolving and dynamic facility. Moreover, the library’s collection comprises hybrid resources in the field of science and technology, engineering, pharmacy, management and hotel management. Above all, there is a separate Internet section consisting of a number of network terminals for providing recent and most comprehensive access to online journals, online databases, and other online reference resources. BIT Dispensary has 20 beds, it includes two isolation wards fully functional Health Care Centre. Most important, the dispensary functions round the clock.